The Australian screen industry puts too much emphasis on data about women and doesn’t focus enough on what men are doing to prop up the patriarchy, the associate dean of engagement and innovation at the University of Technology Sydney (UTS) Deb Verhoeven has argued at Mumbrella’s MSIX conference. While discussing the lack of female participation and inclusion in the screen and research sectors, Verhoeven also questioned why industries wait until women have been harmed to examine male dominance. “If we can see the shape of patriarchy, maybe we can prevent it,” she said in reference to visualisations of data which showed male producers who only worked with men or employed a noticeable minority of women. She said there was a research and reporting bias which focused on what women were doing, instead of how men contributed to, and benefited from, the problem. 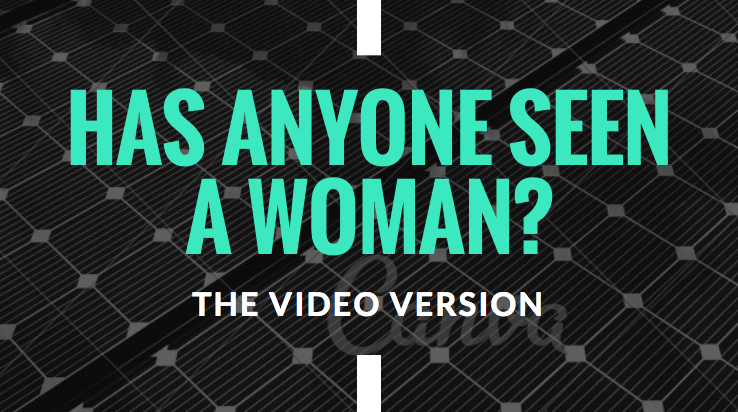 “Why do we keep releasing data about women? Why don’t we release data about men? Why don’t we study their behaviours? Because they’re the beneficiaries of the system. So it stands to reason that the beneficiaries of the system are creating a system that benefits them,” she said. Verhoeven also noted the screen industry’s solutions thus far – development funding, mentoring, “lean in” and a special fund for women working with women – weren’t working, largely because they missed the point. “[When Screen Australia had a special fund for women working with women] that was the point at which I went ‘No, we’re looking at the wrong problem’. Women actually – we know through the data – don’t have a problem working with other women. The problem is not women working with women. The problem is men won’t work with women. Women are not the problem to be solved in the film industry. Men are. Why aren’t we looking at data about men?,” she said. Her research, which covered a 10-year period, discovered 41% of male producers only work with men and never women. The average size for a creative team in the Australian film industry is four, but 75% of male producers work with “a minority of women” – that is, zero to one women on the team, Verhoeven said. “75% of male producers, three quarters of the industry of male producers, only work with zero to one women. How many times was that woman a director? Once – and she was brought in by the French distribution company. Not one single Australian female director worked with 75% of male producers in the Australian film industry in a 10-year period. The solution, she suggested, was to approach the patriarchy in the screen industry as law enforcement would look at criminal networks and terrorism cells. “If I know that data has a power, how do I change that? Instead of using data to stop women from feeling confident or comfortable participating in an industry, how can I use data instead to think through what happens for men in this industry? She said data could be used to “break up the network” and identify the perpetrators – “the men that need to be taken out”. Verhoeven noted the power data (such as Screen Australia’s report into female participation) had to influence circumstances – women will see the low participation rates and be less inclined to participate, assuming it is a hostile environment, not based on merit. The problem will continue, she said, until the patriarchy is reshaped, the “gender offenders” removed and the focus shifts to men’s role in the industry’s bias.